Chudnow S47 Silver plated metal staple, Mack++ shape with "Transparent thread" but regular nylon threads are also available. The characteristic is the focus of every notes with warm depth. Easy to control and love to play with. Actually, where did you get the thread ? It is not those fishing lines at the hardware store. 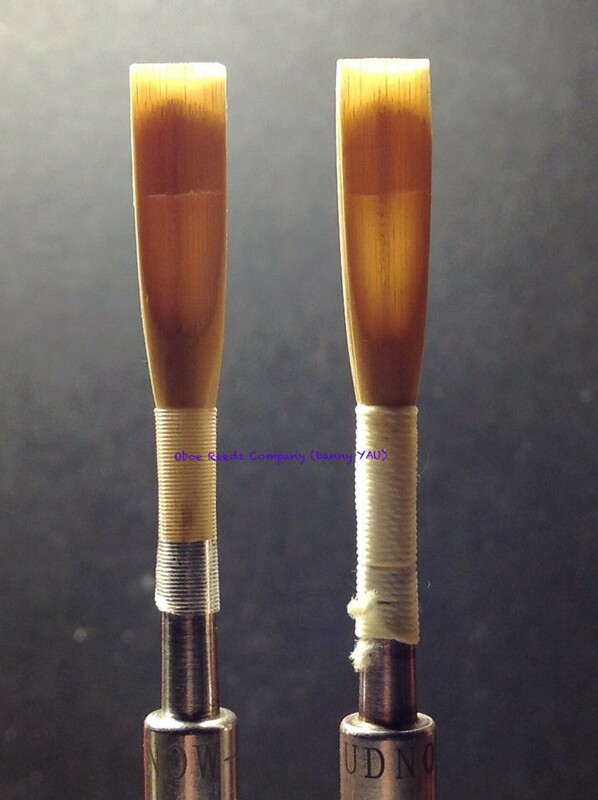 Super easy to control, nice reed, thank you Danny. It does have more even and focus tone qualities than cork staples. I can blow less but still keeping in good shape. Different experience !! 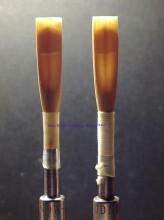 Click the button below to add the Custom Reed (Chudnow S47) to your wish list.